Technological innovations have moved beyond the level of products and processes to encompass virtually every aspect of a business, in both tangible and intangible ways. Yet, in measuring the impact and contribution of such innovations, we persist in using traditional models of productivity and profitability, which can give us, at the best, a partial understanding of their value to firms and customers. 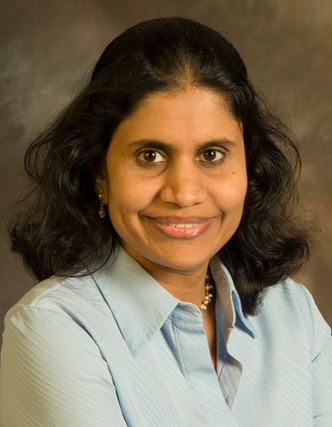 Professor Anandhi Bharadwaj argues for a new set of valuation metrics that will more accurately capture and quantify how digital innovations, in all their varied forms, create value across the business ecosystem. Innovation is lauded as the economic engine of growth and it is often the most critical parameter that financial analysts and investors look for when evaluating firms and their growth opportunities. There have been numerous studies linking innovation in products, processes and services to competitive differentiation and advantage across a variety of industries. Furthermore, the speed of innovation in many industries has accelerated to a point where incumbent companies have to rapidly adapt to new competitive environments to thrive and prosper. This has been most acutely felt in the information technology (IT) industry over the last three to four decades, and increasingly in other industries that have been subjected to the disruptive power of digitisation. Innovations in computer and information technologies – or more broadly speaking, digital technologies – can be viewed as general purpose innovations that have radically changed many aspects of how people work and communicate, especially as social media and mobile technologies are fundamentally reshaping the interaction space. They have also had a profound impact on organisations, reshaping the strategy and structure of firms, and in many cases, disrupting entire industries such as music and media. In tracing the growth trajectory of innovations spurred by digitisation, it has, however, become a challenge to measure the full impact of digital technologies. Studies have shown that it is useful to think about the imnnovation process in information technologies as a series of discrete inventions followed by a period of incremental improvements and adaptations that ultimately tap into the full potential of the initial invention. This recurring pattern of radical breakthrough followed by a period of incremental improvements is evident when we consider the chronological map of innovations in the IT industry. Computers and digital technologies started to replace and augment clerical labour in the 1970s with the introduction of mainframe computers. This was followed by a period of technical discontinuity in the 1980s with the introduction of the personal computer (PC) followed by a further period of incremental improvements in storage and memory chips. The 1990s, of course, will be remembered as the decade that ushered in the dramatic power of the Internet, accompanied by the global rise of dotcom companies. Innovations since 2000 have centered around mobile devices that are smaller, smarter and more efficient. These innovations have in turn given rise to new business models and new ways of connecting people, products, processes and services. The follow-up processes of incremental improvements and adaptations have also become much more rapid as the “absorptive capacity” of individuals and institutions to understand, relate to, and productively employ technologies has expanded significantly. A standard approach to measure innovation-led business growth in technology was through economic models of productivity. Looking at computer investments as another form of technological capital, economists have made a convincing case for the contribution of technological investments both to overall macroeconomic productivity as well as to firm-level productivity and performance growth. A common feature of such studies is a reliance on the production function as the framework for analysis. But production function approaches and productivity growth at the macro and micro levels of economic activity only tell a partial story about the impact of digital technologies. First, productivity at the aggregate levels masks the significant firm-level variations that exist with respect to how different firms leverage their technology investments for growth and profitability. Second, an exclusive reliance on productivity underestimates the value gains from IT that lie encapsulated in the form of additional value that has been passed on to consumers, in many cases, at no cost to them. Arguably, we all have access to more music, videos, games and other useful content (e.g. free online courses), but the value from these innovations are not reflected anywhere in the gross productivity statistics. Innovations since 2000 have centred on mobile devices that are smaller, smarter and more capable. These innovations have in turn given rise to new business models and new ways of connecting people, products, processes and services. The follow-up processes of incremental improvements and adaptations have also become much more rapid as the “absorptive capacity” of individuals and institutions to understand, relate to, and productively employ technologies has expanded significantly. The most important change on account of digitisation is that it has unleashed a new wave of innovation, which is not fundamentally based on physical production, or the production of things, as in the earlier eras of industrial growth. Rather, it has impacted every facet of how business gets done – from product design and development, operations, marketing and customer support, to supply chain management, human capital development, and organisational design. Today, innovations spurred by digital technologies occur not only at the level of a product or a process but increasingly at the level of business models, platforms, and even entire ecosystems. Given the magnitude of changes ushered in by the new wave of digital technologies, we need to re-examine the traditional models and metrics used to evaluate technological innovations and ask whether the productivity- and profitability-based valuation models continue to serve well. Complementarity-based valuation models that examine established links between investments in research and development (R&D) and IT as well as co-investments in other workplace practices and human capital investments provide an alternate valuation approach. This approach seeks to account not only for the traditional R&D and IT capital stocks but also the other “intangible” investments that have to be jointly considered in accounting for the full impact of digital capital. Investments in intangibles are often not counted as accumulated capital assets in accounting statements as they tend to be expensed when they occur. However, if these expenses do in fact create future value for the firm through efforts: training employees to use IT effectively, improving customer satisfaction through product and process digitisation, and increased brand equity that companies create through superior digital resources (e.g Netflix’s proprietary recommendation system), then it can be safely argued that these expenses are certainly targeted at creating future profits and growth. In other words, a firm’s innovation-related investments are not fully accounted for by its R&D and IT capital investments alone; a broader picture emerges as we take into account other expenses that go into building the organisation’s overall absorptive capacity for exploring and exploiting digital capital. Focussing on the complementarity between tangible and intangible investments also provides a counter perspective to the simplistic idea that productivity gains will accrue from simply investing in tangible infrastructural technologies such as computers, routers, servers and other communication technologies. In fact, productivity metrics that ignore the more complex relationship between tangible and intangible resources and capabilities fail to show the direct relationship between IT investments and performance and therefore resort to lagged measures as a way to account for this discrepancy. Technologies occur not only at the level of a product or a process but increasingly at the level of business models, platforms, and even entire ecosystems. Given the magnitude of changes ushered in by the new wave of digital technologies, we need to re-examine the traditional models and metrics used to valuate technological innovations and ask whether the productivity- and profitability-based valuation models continue to serve well. Changes due to digitisation also call for a shift in how we value the outputs of innovation. Metrics that rely solely on patents and intellectual property (IP) licensing as measures of innovation output are outmoded and do not capture the multidimensional aspects of value unleashed by the new wave of digitisation of products, processes and services. Digital technologies have significantly expanded the dimensionality of product and service quality through novel capabilities and affordances that were simply not possible via the corresponding physical artefacts. Take, for example, a book purchased via Amazon’s Kindle. The application not only allows readers to track their own progress in the book they are reading, but also lets them know which words and phrases in the book were highlighted or commented upon most frequently. These features increase the social engagement of all the readers of the book and allows them to participate in shared common experiences, much like a virtual and dynamic book club that is organically created for each reader as they read the book. Today’s metrics for valuing product and service quality completely ignore the social dimensions of the usage and the resulting value and surplus accrued to the customers through product digitisation. Thus, our measures for assessing the impact of digital innovation output also necessitate fresh thinking. Techniques based on option pricing have been suggested as another approach for valuing technology investments and returns to digital capital. The high uncertainty associated with the costs of investments, given that technology projects are notoriously hard to manage and are frequently plagued by schedule and cost overruns, as well as the uncertainties associated with the timing and magnitude of the realised benefits have made this a credible valuation approach. Using real options pricing models, uncertainties associated with investment costs, future payoffs as well as other unexpected (catastrophic) events are modelled as stochastic processes. The value of the investment opportunity is subsequently modelled as a contingent claim with the underlying state variables being the value of the digital asset at completion and the expected cost of completion. The model can then be used to provide valuations not only of the overall project but also the value after each stage of completion given the different risks and uncertainties associated with each stage. While this approach provides a useful framework for innovations that happen at a project level, it cannot adequately model the combinatorial digital innovations that are taking place today at the level of innovation platforms. Yet another significant change that we have seen in recent years is the shift in the locus of innovation from products- and process-based innovation to platform-based innovation. Today’s digital innovations are more likely to occur on open and dynamic platforms where they are co-invented or co-created jointly by myriad participants (or independent agents) coordinating seamlessly across time and space. This calls for a further shift in our thinking with respect to the different roles played by the various participants in these innovation ecosystems and the corresponding metrics for value creation as well as fair value appropriation mechanisms. Value embedded in digital platforms have been generally associated with the idea of network effects that accrue due to positive network externalities arising from same-side benefits (e.g. the value of Facebook to current users increases as new users join the platform) and cross-side benefits (e.g. the value of eBay to current buyers increases as more sellers join the platform). When network effects are triggered, platforms tend to grow exponentially as they enter a self-aggregation cycle of value creation. The value proposition of platforms has been examined using metrics that measure platform scale (volume of transactions that occur on the platform) and platform scope (the number of types of transactions enabled by the platform) and measures that capture the quality of the transactions on the platform (e.g. the quality of content curation) and the level of risk mitigation carried out by the platform. For example, actionable rating systems such as those employed by Uber and Airbnb, with guarantees that poor quality service providers are systematically culled from the system, serve as clear trust building mechanisms to significantly mitigate user risks and improve the value of the platform to both buyers and sellers. Changes due to digitisation also call for a shift in how we value the outputs of innovation. Metrics that rely solely on patents and intellectual property (IP) licensing as measures of innovation output are outmoded and do not capture the multidimensional aspects of value unleashed by the new wave of digitisation of products, processes and services. The success of platform models is also forcing new thinking on how contributors to the platform may claim a fair share of value, based on the volume and quality of their contributions. Value to end-users is usually accounted for based benefits such as improved customisation and lower search and transaction costs. But newer valuation models that more directly place a value on end-user participation are starting to emerge. Value from end-users to a platform can accrue in many ways, from the passive sharing of the user’s private profiles and preferences, to more active forms of content creation and curation. The valuation calculus would have to take into account these diverse sources of value co-creation and devise mechanisms for fair appropriation. Value to end users has typically been accounted for through benefits such as improved customisation and lower search and transaction costs. But newer valuation models that more directly place a value on end-user participation are starting to emerge. Value from end users to a platform can accrue in many ways, from the passive sharing of the user’s private profiles and preferences, to more active forms of content creation and curation. The valuation calculus would have to take into account these diverse sources of value co-creation and devise mechanisms for fair appropriation. Parallel innovations in digital currencies can provide the transactional platform to quantify the value of user contributions in real time, while new algorithms will be needed to develop a dynamic pricing mechanism to convert the intangible value of user contributions into tangible digital currency. Clearly, there are many unique challenges to developing the next generation of valuation models for digital innovations to replace current models that are based largely on industrial age assumptions regarding production, consumption, and resource scarcity. In an era of data and information abundance, value will inevitably shift towards firms that can develop the deepest and clearest insights based on data from multiple sources. Goizueta Term Chair & Professor of Information Systems, Operations Management.